Design your child's bedroom in a theme they will love! 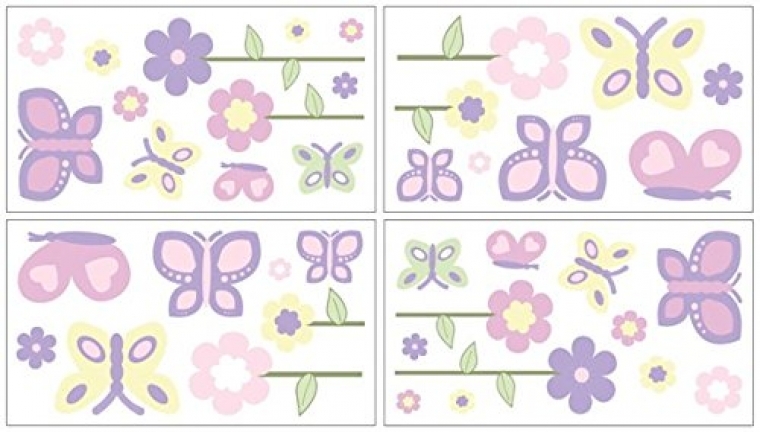 Sweet Jojo Designs removable wall decals add a fun and colorful touch to any bedroom. These wall decals make great gifts! Enhance your room decor and create an interesting and stimulating environment with these great wall decals. *NOTE: These decals are intended for standard flat wall finishes and may not adhere completely to a textured wall. Please consult a professional if you are working with a non-standard wall finish.